Clients benefit from Dr. Gabriella (Farcas) Chan’s multidisciplinary background and strategic focus, gleaned from industry experience. Her uniquely sophisticated level of technical knowledge, practical experience, and legal expertise underpin her well-rounded advice and a provide a competitive business advantage for her clients. Her startup clients particularly appreciate her mentorship and guidance in all aspects of starting a business. Regulatory Affairs Certificate in Medical Devices from the Regulatory Affairs Professionals Society (RAPS). Gabriella obtained her legal training at a national Bay Street law firm in Toronto. She gained practical experience by working as a Vice President of Legal Affairs at a Toronto-area nanotechnology company and previously as an Intellectual Property and Technology Manager at another Toronto-area biotechnology startup. As the founder of Yocto Law® Professional Corporation, Gabriella is intimately familiar with every aspect of running a business. She advises world-renowned scientists from Canada’s premier universities and teaching hospitals on how to commercialize academic research, including by negotiating licensing agreements with university technology transfer offices. Gabriella counsels commercialization offices at leading research institutions as well as new and established entrepreneurs. During law school, Gabriella acted as a Small Business Clinic advisor at Osgoode Hall Law School where she provided legal advice to small business owners in the Toronto area. As a graduate student at the University of Toronto, Gabriella received intensive training in founding life sciences and technology companies in Oxford, United Kingdom through the Biotechnology YES Program. Throughout her undergraduate program at Loyola University in Chicago, she worked on a National Institutes of Health (NIH) funded longitudinal quality of life study of lung transplant patients. 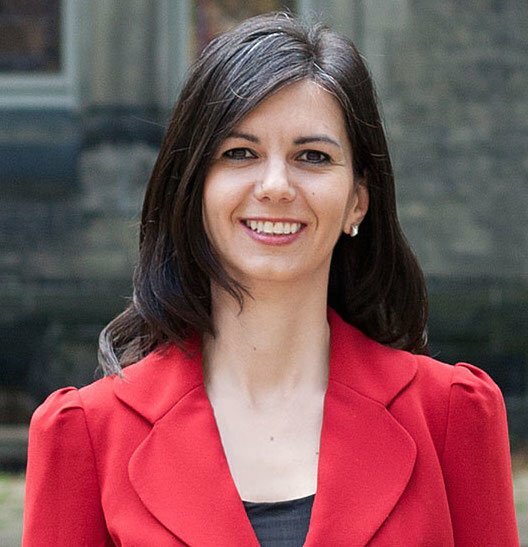 As an adjunct lecturer in the Faculty of Medicine at the University of Toronto, Gabriella teaches intellectual property, privacy, regulatory affairs, and commercialization. Gabriella’s doctoral work focused on molecular diagnostics for infectious diseases, particularly malaria and SARS-CoV, while her post-doctoral research focused on the development of nanotechnology-based hand-held medical diagnostic devices. Her graduate work was supported by a Canadian Institutes of Health Research (CIHR) Doctoral Research Award and the University of Toronto’s prestigious Connaught Scholarship. She published extensively and presented her work at national and international conferences.